Laurence H. Winer is Professor of Law and Faculty Fellow, Center for Law, Science, & Innovation at the Sandra Day O’Connor College of Law at Arizona State University. After graduating from Yale Law School, Professor Winer practiced with a Boston law firm before joining A.S.U. Before law school, he taught mathematics at Boston University where he earned his Ph.D. degree. Nina J. Crimm is Professor of Law and the Frank H. Granito, Jr., Faculty Scholar at St. John's University School of Law, New York. Before entering academia, Professor Crimm was a law clerk for Judge Irene F. Scott, United States Tax Court and later an Attorney-Advisor/Senior Attorney in the Office of the Chief Judge of the Tax Court; she also practiced tax and nonprofit law with a Washington, D.C. law firm. 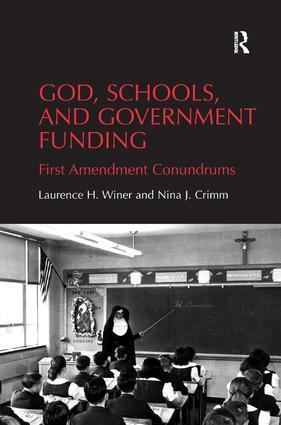 Professors Crimm and Winer are co-authors of Politics, Taxes, and the Pulpit: Provocative First Amendment Conflicts (Oxford Univ. Press, 2011), as well as related works co-authored and written separately.